A carpenter whose politics are shaped by the events of the American Revolution. 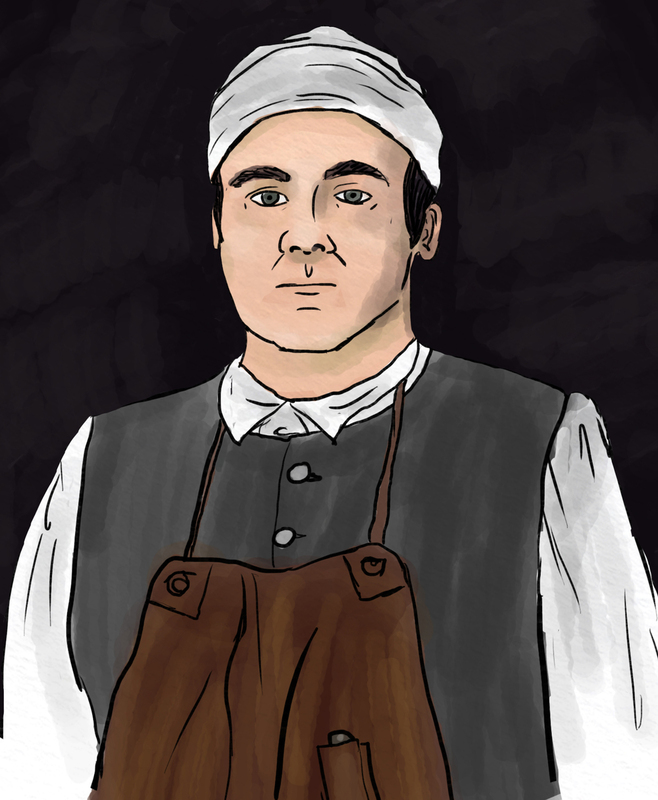 As a working-class man, Joseph Shed was one of many men who felt the effects of the post-war economic depression in the decade following the end of the French and Indian War in 1763. Unable to find work, many blamed British policies for the slump. Although his politics were never truly radical, he did participate in at least one popular protest, perhaps because of his family’s involvement. When hard times hit Boston in the 1760s, people stop moving to the town and you have trouble finding carpentry work. Finally in 1773, you decide to take an active role in the best-known protest in Boston’s history. A group meets at your home, where you don disguises before participating in the “Boston Tea Party." After the war you abandon carpentry and open a grocery store in your home with your son.